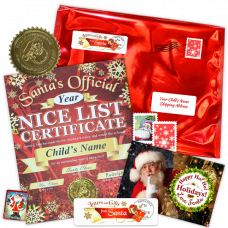 This Baby’s First Christmas Gifts from Santa will arrive gift wrapped with Santa Express stamping on top; straight from North Pole! 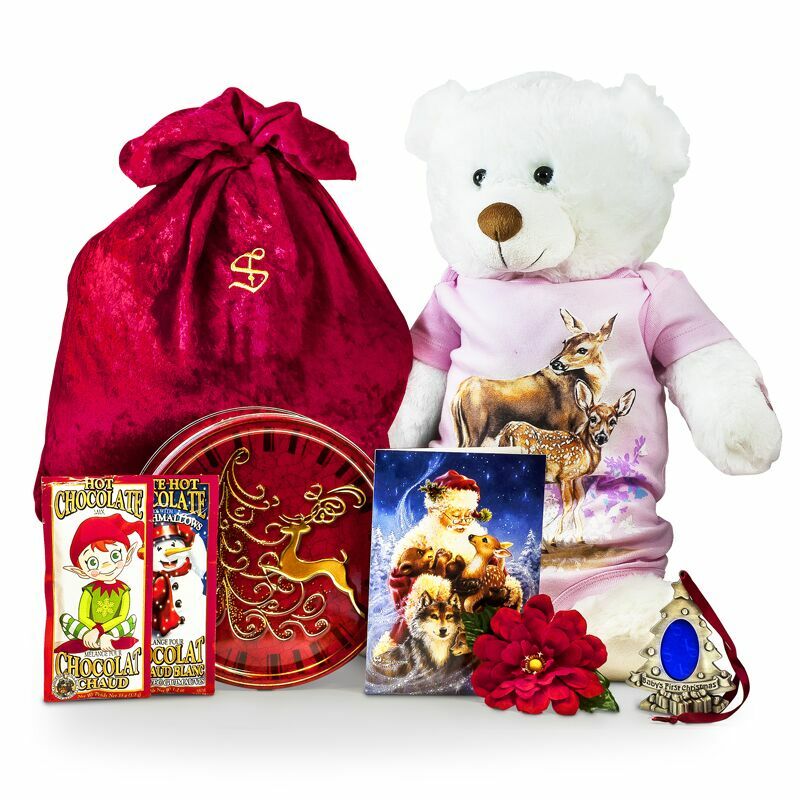 They will receive this package by Santa Express, and inside they will find a velvety red Santa bag beautifully embroidered with Santa’s special monogram. 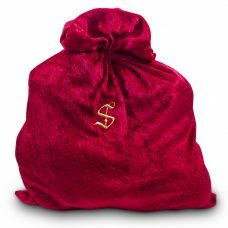 These bags are made from the huge bag Santa has carried all the gifts last year. 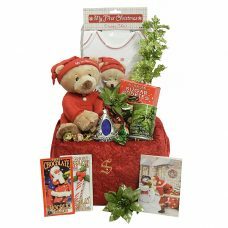 He is going to be the baby’s favorite Christmas Bear. 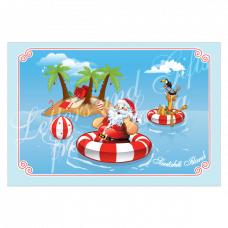 He is wearing a red suit a red hat, he is 8 ½” ‘ tall sitting, musical wind up he plays “silent night” meanwhile his head sways. Elegant Baby’s First Christmas Pewter ornament with a place for a baby’s photo. 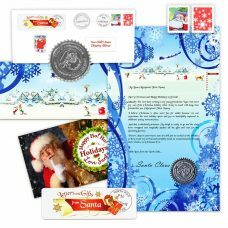 In addition to this adorable gift you may send them one of our custom designed letter from Santa. 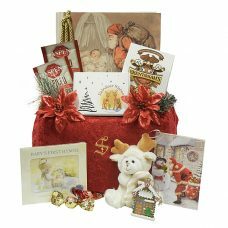 The handmade Baby’s First Christmas scroll letters are shipped in a special Reindeer box. 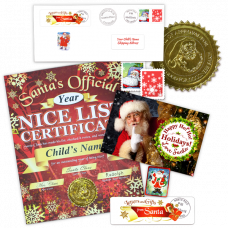 Sent from the North Pole and is accompanied by a holiday scented photo signed by Santa.